Can we talk about connected cars? They might not excite you but as far as the industry and lots of governments are concerned, they are a pretty big deal – or they’re going to be. Not just yet, though, because connected cars – or co-operative intelligent transport systems (C-ITS) if you prefer – have hit a developmental crossroads. The next step-change in advanced driver assist system (ADAS) technology and increasingly adept levels of autonomy will be made possible by the widespread adoption of vehicle-to-vehicle (V2V), vehicle-to-infrastructure (V2I), vehicle-to-pedestrian (V2P) and, as a handy catch-all, vehicle-to-everything (V2X) communications. Today’s ADAS functions and Level 2 autonomous systems, such as Tesla’s Autopilot and Audi’s Traffic Jam Pilot (whose Level 3 billing has been dialled back a notch in most countries for now) are limited by what the vehicle’s own sensors can detect, which currently extends to a useful forward range of 250-300 metres on a good day. 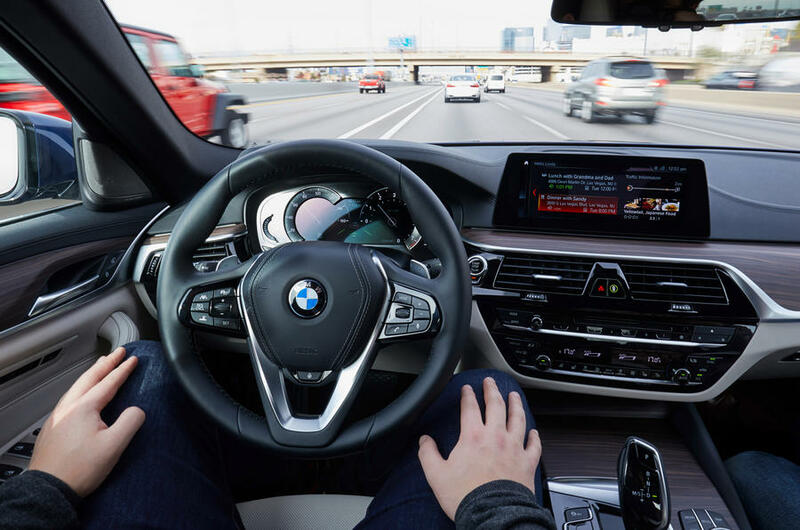 V2V communication could expand on that massively by allowing cars to share data on relative speeds, positions, directions of travel and even driver control inputs. Mix all this together and it will be possible to create a much more detailed picture of the surrounding area and make driving safer. Or at least that’s the idea. As an extension of V2V, V2I will add information from traffic lights and signals, variable speed limits and congestion monitors to enable a freer flow of traffic. Throw in V2P and V2X, including cloud-stored information on anything from the weather to the nearest available parking space, plus data sent via smartphones in people’s pockets, and we’re on our way to a fully autonomous, accident-free utopia. Or at least that’s the idea. But for this to happen, the industry still needs to reach a consensus on how all of this data will be transmitted and shared. Originally it looked like a system using an agreed wireless local area network standard known as IEEE 802.11p, commonly referred to as dedicated short-range communications, or DSRC, would win favour. DSRC would allow V2V communication and a V2I interface via roadside beacons (although it’s never been clear who would pay for, operate or maintain those). In the US a frequency was allocated for transport use as long ago as 1999, then it received approval for the same in Europe in 2008. More recently the DSRC option has been overshadowed by C-V2X (‘C’ standing for cellular) C-V2X was originally conceived using the LTE 4G mobile phone network but has since evolved to encompass the almost-imminent 5G rollout. One of the appeals of C-V2X is that it introduces the possibility of adding pedestrian and cyclist data via smartphone integration, which DSRC wouldn’t allow. In terms of hardware and infrastructure, C-V2X’s LTE technology has no compatibility with DRSC – the two systems are mutually exclusive – “hence the dilemma,” says Colin Lee, Jaguar Land Rover’s V2X manager. DSRC has its advantages. It’s a robust, cost-effective and proven technology but has little scope for growth in terms of its capabilities – something that C-V2X has in spades. The allocation of radio frequencies is a pretty big deal, though, and some quarters of the industry are reluctant to relinquish of control of the 75 MHz-wide band (in the 5.9 GHz region, if you’re interested) that has been ring-fenced for DSRC use. Such is C-V2X’s appeal, though, that a significant number of car makers and tech firms have registered their support for it, a backing represented by the growing membership of the 5G Automotive Association (5GAA) that was formed late in 2016. Much of C-V2X’s required technology already exists, including the in-vehicle cellular modems that will be at its heart, as does the supporting telecoms hardware, and the 5GAA said an event in Paris this July that C-V2X shows ‘commercial readiness for industry deployment as early as 2020’. In theory, yes, it might, but it would require everyone to sign up within the next five minutes or so for there to be a widespread rollout by then. In the meantime, the debate rumbles on. The situation is by no means a disaster and a consensus will inevitably be reached, but the timescales remain up in the air. The debate is forcing industry players – and rivals – to work together on an almost unprecedented level, and the crossover with technology and telecoms firms is breaking new ground. But all this takes time. No matter what the decision is, we’re still a long way off from a world in which all of our vehicles, be they capable of Level 3, 4 or 5 autonomy, are chatting away to each other – and everything else – while we put our feet up on the drive to work. I don’t know what others think but, with all this new tech Cars are getting like Airliners, you almost need to do a fight check before you move off, and with the new tech you also might have more to monitor, listen to as well as drive the Car itself....?! Write that again in English! Spell check....do we need it...? We cant afford to fix the holes in our roads, let alone put all the line markings in place that are needed for a lot of this stuff to work. Whack all the tech you want in the car, but weather, surface conditions and the quality of the road markings/signage all play a massive part and they have yet to be overcome to any degree of accuracy. I love cars. I love driving. I love cars. I love driving. And I love the freedom and excitement both represent. This is complete gobbledegook which I have no wish to understand, but I am very sure it has nothing to do with any of those loves.